The Arroyo trail is part of the Skyway Nordic Area in the Grand Mesa National Forest near Grand Junction, Colorado. 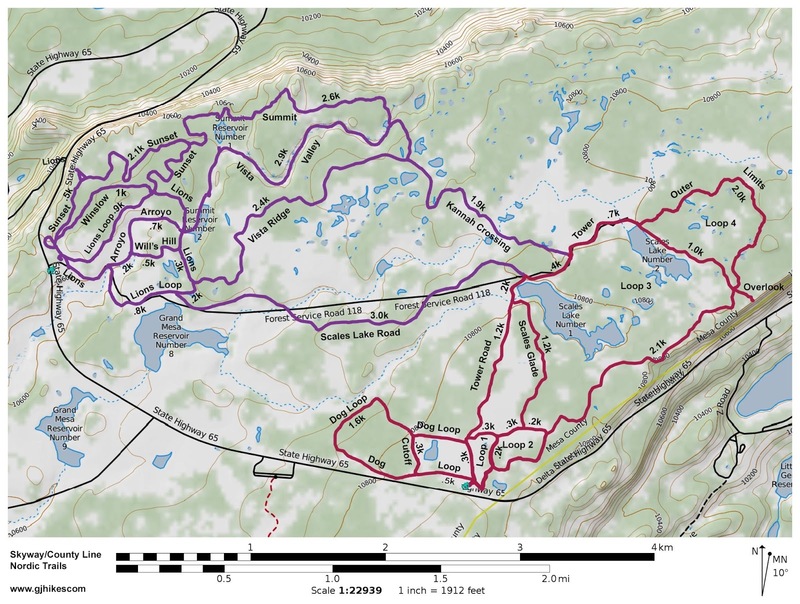 The trail begins off of the Lions Loop and reconnects to it once again at the same point as the Vista Valley trail. 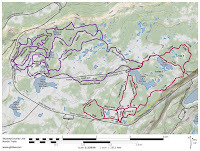 It is also connected to by the Will's Hill trail. To get to the Arroyo trail follow the Lion's Loop as it leaves the trailhead. The Arroyo trail branches off of the Lions Loop around the half mile point. As the trail gets going it heads up a small valley or arroyo. The Will's Hill trail connects on the right near the first bend in the trail. Just past that the trail passes through an open area that gets a lot of off trail use. The northern branch of the Lions Loop runs along the ridge above the Arroyo. Some people can't resist skiing down the ungroomed slopes from the Lions Loop to the Arroyo trail. At the end of the valley the Arroyo trail makes a gentle climb that takes it up to higher ground. The trail levels off at the top of the hill and enters a clearing where it meets back up with the Lions Loop and comes to an end. 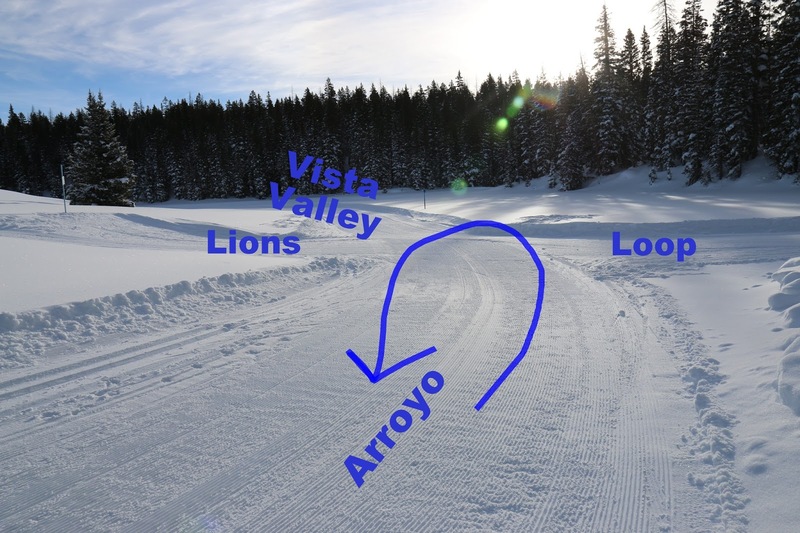 The outing can be lengthened by going either way on the Lions Loop or by continuing straight ahead on the Vista Valley trail. The trip back to the trailhead is mostly downhill except for a short uphill section of the Lions Loop. The parking lot is usually packed to capacity by noon on weekends so the key is to either get there early or catch a ride with someone and carpool. The Arroyo trail is a handy enough connector that it can be part of several of the other routes. Especially for those making a loop out of the Vista Valley and Vista Ridge trails. If you would like to see it for yourself then all you have to do is 'Take a hike'.